These high-impact pens are made of precision-machined 6061 aluminum with an anodized finish to withstand scratches. One end features a devastating window punch that shatters tempered windows in one smash while the other end offers a working ball-point pen. The cap fits either end depending on which end is being used at the time. 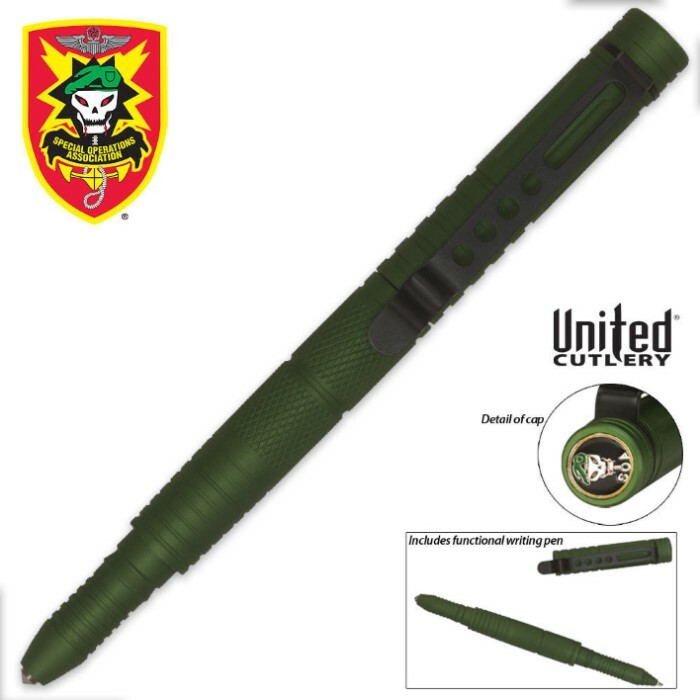 The flutes and grooves on the pen provide a secure grip even under combat situations while the high-pressure clip ensures this pen will remain where you clip it. 6 in. overall. nice pen. use it daily, strong clip, built well. four stars only because i had to put a drop of thread lock on the glass breaker(threads) to keep it from rattling.